I’ve been pondering the distinction between an underrated book and an overlooked book. The latter merely means that fewer people have read it than you think should have, and it is possible that the few who have read it all think it great. But the former is the opposite, meaning that many or most of those who have read the book fail to appreciate the qualities you think make it great. It is not too difficult to find an overlooked book, since most books are overlooked by most people. To decide a book is underrated is a trickier task, because it requires some knowledge of what other people think of it. Most of the books that came to my mind fit more in the overlooked category, and thus it has been a struggle to find one that is truly underrated. Favorite books of mine like Rosemary Sutcliff’s The Lantern Bearers and George MacDonald’s Phantastes can be counted obscure, but their readers, however few, tend to praise them. So in the end my choice for an underrated book is more a choice of an underrated main character. The novel itself has been studied ad nauseum in schools and universities, and both its emotional power and importance in American history have generally been admitted. However, my impression has been that its title character is not given the respect he so richly deserves. The book is Uncle Tom’s Cabin by Harriet Beecher Stowe. In actuality, Tom is one of the greatest Christian characters in American fiction, challenging our modern sensibilities with his faithful adherence to Christ’s command “Love your enemies as yourself.” Abuse upon abuse is heaped on his head, and his response is to pray for his attacker’s soul. Even as he is beaten viciously by two slave drivers, he cries out forgiveness to them and Simon Legree, proclaiming Christ’s love and the possibility of repentance unto his dying breath. And in my estimation, he shames all the other characters, even the good and heroic ones, by his attitudes, and challenges Christians in the real world to follow our Lord’s example to such a degree. His faith is shaken at times, and he suffers doubts like even the great towers of faith throughout history have, but he never forsakes his Savior. And even in his death, Christ honors his faith, for the two men who were beating him are so convicted by their sin and Tom’s unrelenting love, that they repent and are saved. 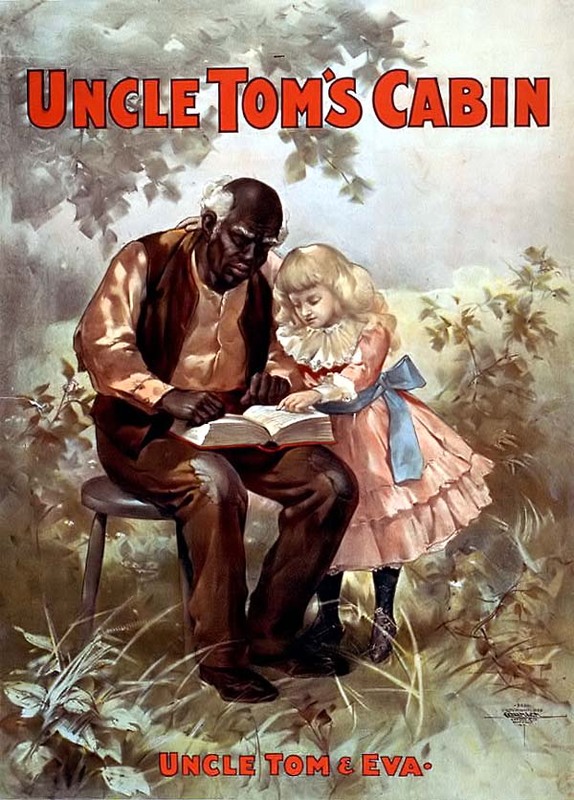 Uncle Tom’s Cabin is not a perfect book. It is extremely melodramatic, relies often on stereotypes (of all sorts of dramatic characters), and sometimes the dialogue approaches the ridiculous (Eva’s death speech, anyone?). But Tom himself, in addition to being a living and breathing character, is also a man after God’s own heart, of whom it may be said he was a good and faithful servant of our Lord, even unto death.